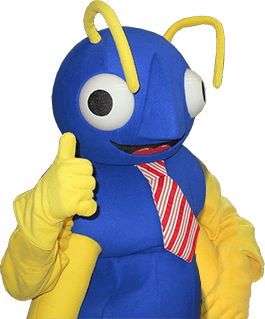 Since 1935, Big Blue Bug Solutions has been providing Foxboro and surrounding areas in Massachusetts with state of the art pest control services. With knowledge and expertise in both residential and commercial services, our pest control technicians can handle any pest issues that may arise, no matter what the pest or how severe the infestation. Considering that your home is one of the largest investments you can make, it is our mission at Big Blue Bug Solutions to protect the structures and keep it safe from the threat of pests for you and your family. Each fall, as the weather cools down in Foxboro, MA, fall pests including mice, spiders, stinging insects and many other critters will attempt to get into your home to stay warm. Thankfully our home pest control services in Foxboro is designed to not only get rid of fall pests, but prevent pest problems all year long. Although ants in the home may seem like a small pest worry, carpenter ants are a destructive and hard to get rid of species. Carpenter ants are large, black ants who carve through wood structures to build their colony. Over time this will weaken the wood structures and cause extensive structural damage. If you have noticed these large, black ants that could be carpenter ants or if you have spotted tiny holes in walls, beams or window frames, contact the experts at Big Blue Bug Solutions. Once they detect the carbon dioxide you breathe out, bed bugs will leave their hiding places and get a nice blood meal, leaving you with bed bug bites. Since bed bugs can spread easily by clinging onto clothing, bags or suitcases while traveling, it is important to contact Big Blue Bug Solutions if you believe that bed bugs may have traveled back to your home or business, we offer effective bed bug treatments that are sure to help you get rid of bed bugs quickly and efficiently.